Rosemary Church is an award-winning anchor for CNN International, with more than 25 years of experience covering major global events. She can be seen on CNNI in the morning across Europe, Africa and the Middle East, and in the afternoon across Asia and Australia. Her shows are also simulcast in the United States on CNN/US from 9pm-1am PT. Based at the network's headquarters in Atlanta, Church has been with CNN since 1998. In that time, she has anchored all major world events that have unfolded across the globe, including the rise of ISIS in Syria and Iraq and the resulting coalition airstrikes against the militant group; the global fight against the deadly Ebola virus; the search for Malaysia Airlines Flight 370; the crash of Malaysia Airlines Flight 17 over Ukraine; the Arab Spring; Japan's 2011 earthquake and tsunami; the killing of Osama bin Laden; the capture of Saddam Hussein; the wars in Afghanistan and Iraq; and the September 11th terrorist attacks against the United States in 2001. In October 2014, Church and her colleagues, Nick Paton Walsh and Phil Black, won the best "Short News Report" category at the 2014 Association for International Broadcasting (AIB) awards in London. They received the award for their coverage of unrest in Ukraine, which involved a deadly shooting in Kiev's Independence Square during anti-government protests in early 2014. In June 2014, they were also awarded the prestigious Golden Nymph award for Best 24 Hour News Programme at the Monte Carlo Television Festival, for the same coverage. Church anchored all the main stories of 2013, including the Boston Marathon bombing and the manhunt that followed; Syria's civil war; North Korea's missile threat; and the death of South Africa's iconic leader, Nelson Mandela, as well as the days of mourning that followed. In 2012, Church anchored CNNIs coverage of the U.S., Egyptian and French elections, as well as the ongoing violence in Syria and instability in Egypt. On March 11, 2011, news broke of an earthquake in Japan - and possible tsunami - just as Church was starting her show. She anchored four hours of breaking news coverage, while the tragedy unfolded across the northeastern coast of the country. Earlier that same year, Church anchored breaking news of the Arab Spring, including the protests in Tunisia; the eventual fall of Egypts Hosni Mubarak; the overthrow of Libyas Moammar Gadhafi in August and his eventual capture and killing on October 20. News of the death of Osama bin Laden broke on Churchs watch in May 2011, and she also anchored CNNI's coverage of the death of North Koreas Kim Jong Il in December 2011. Some of the global news stories that Church covered in 2010 include the deadly earthquake in Haiti; Chiles earthquake and tsunami in February; the deadly plane crash in April, that took the life of Polands President; and the eruption of Icelands volcano that disrupted global travel. In June 2009, Church did extensive anchoring on Irans deadly uprisings, following the presidential elections. Just days after that, she reported on the sudden death of pop icon Michael Jackson. In 2006, Church anchored CNNIs coverage of the Israel-Hezbollah conflict, which later earned the network an Edward R. Murrow Award. Prior to joining CNN, Church spent five years as the Senior Anchor with Australia's first international satellite news service, Australia Television (ATV), also filing stories for ATV and the Australian Broadcasting Corporations (ABC) Foreign Correspondent program, when she traveled to Asia. While at ATV, Church won the New York Festival's TV programming award for coverage of the Hong Kong Handover to China in 1997. Church started at ABC TV in 1991 as a reporter and anchor for the main evening news bulletin in the state of Tasmania, where she also anchored the summer edition of ABC TV's World at Noon program. Before this, Church spent five years at Parliament House, Canberra, with the National Media Liaison Service, while also anchoring weekend news bulletins on Channel Ten's news service. In 1984, she worked as a media officer and speechwriter for a Member of Federal Parliament. Born in Belfast, Northern Ireland, Church lived in London until her family moved to Australia when she was 8 years old. She has a Bachelor of Arts degree from the Australian National University in Canberra and has completed graduate studies in media and law at the University of Canberra. Church is married with three children. 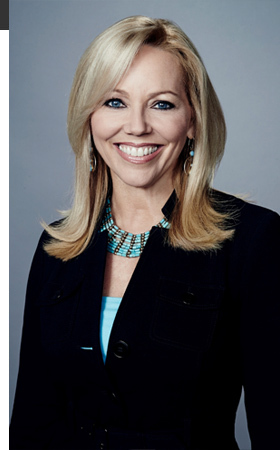 Follow Rosemary on Twitter: @rosemaryCNN.